HotelPro excels in placing service minded, motivated employees in positive work environments. We are currently looking for talent to fill positions in housekeeping, laundry and food and beverage. HotelPro offers competitive wages and a full benefit package. Noun. An organization that provides customized staffing solutions in the hospitality industry. Adjective. An individual notoriously described as highly professional, skilled, knowledgeable, hardworking, reliable and dedicated. A “real go-getter!” Ex. Joe is very effective at his job, he is a real HotelPro!” Do you fit this description? Apply Today! What does the 'PRO' stand for in HOTELpRO? We are glad you asked! Not only does Pro stand for professional, which is exactly what you will come to expect when working with any HotelPro employee. Pro also stands for advancing or projecting forward or outward. At HotelPro, we are always one step ahead in anticipating the needs of our customers. 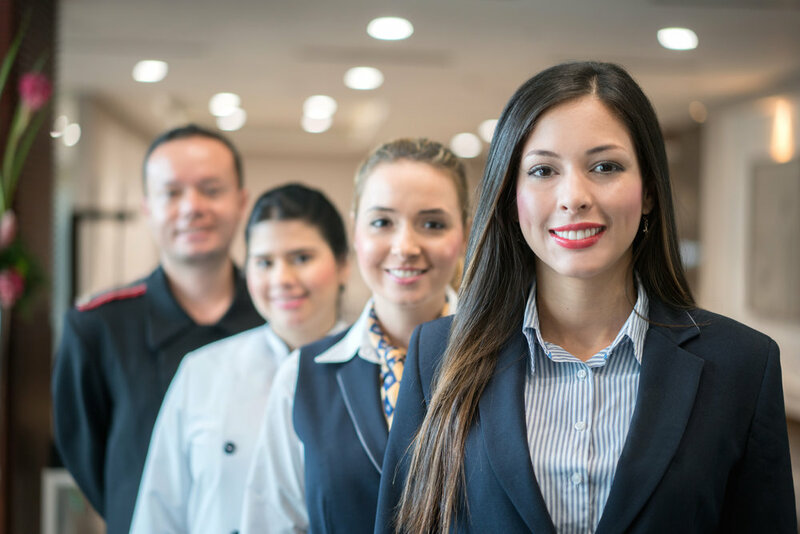 This starts from day one by carefully listening to the needs of our clients and creating a customized, unique and flexible plan for staffing each property. The line of communication is never severed, it continues throughout the life our relationship. Learn more about the benefits of partnering with HotelPro.